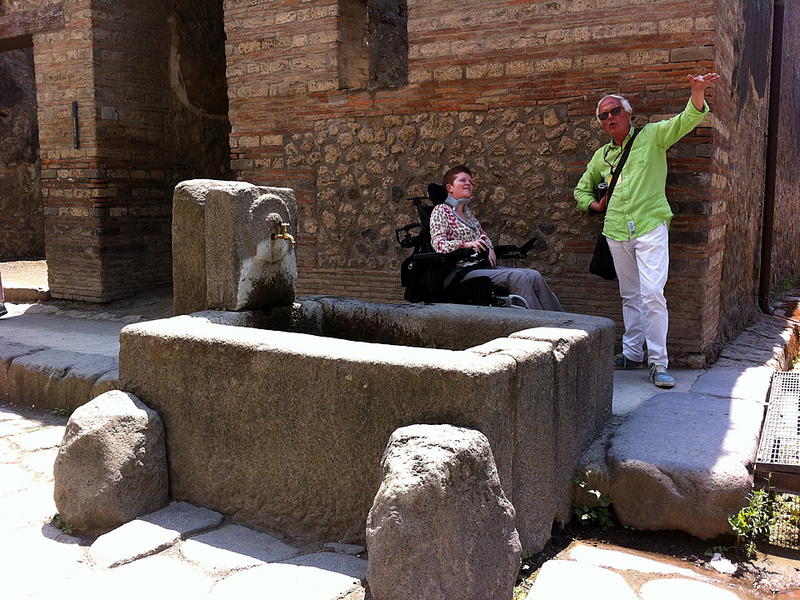 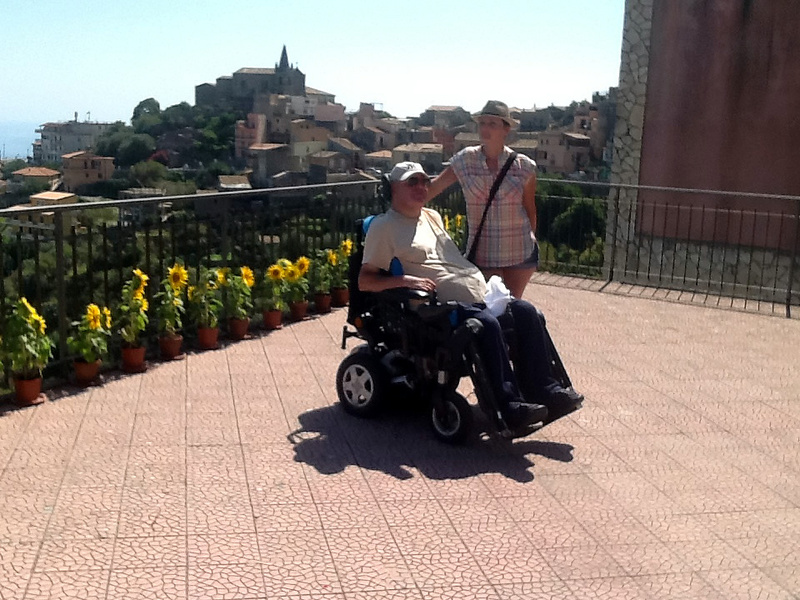 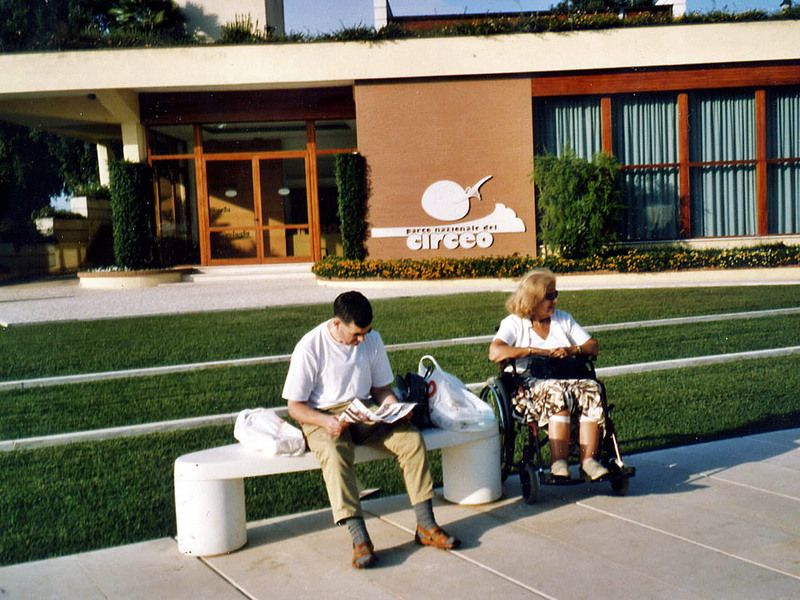 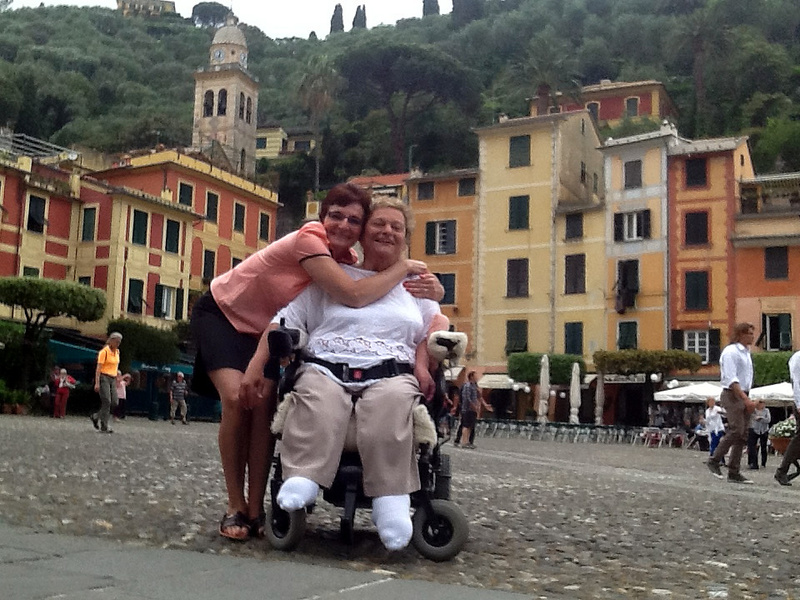 Rental disabled equipment service while in a comfort holiday in Italy. 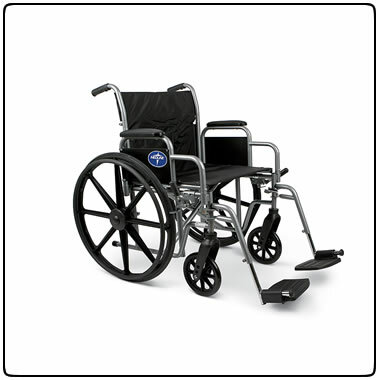 To assist those individuals that have mobility limitations, we are offering various items for rent. 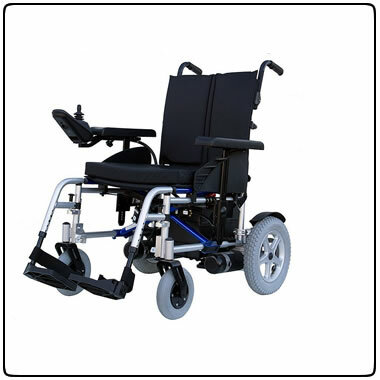 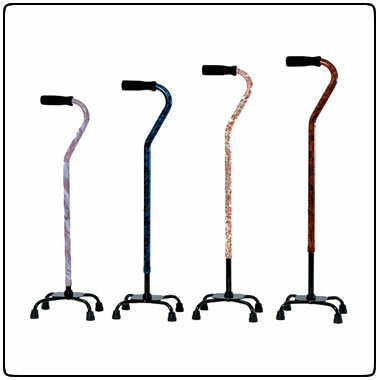 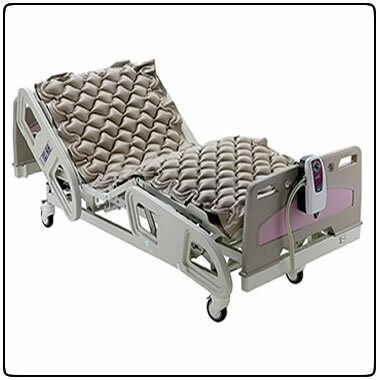 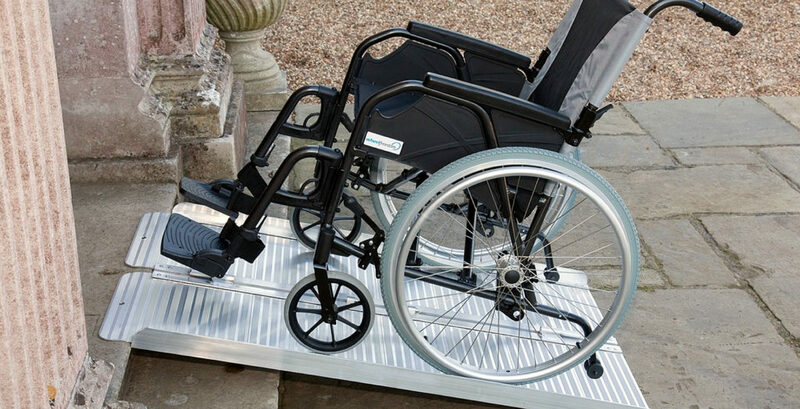 Our rent equipment for disabled includes manual wheelchair, bath wheelchair, standard walkers, quad canes, electric beds with frame and electric hoist. 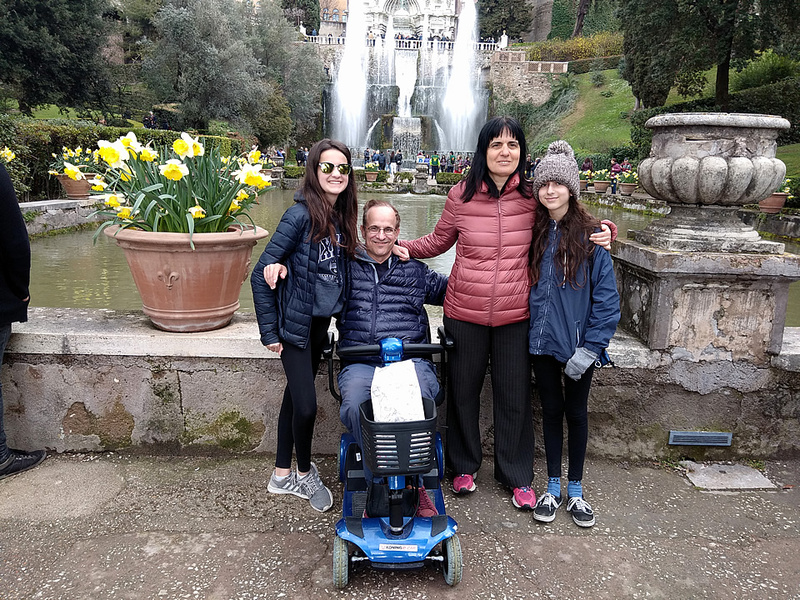 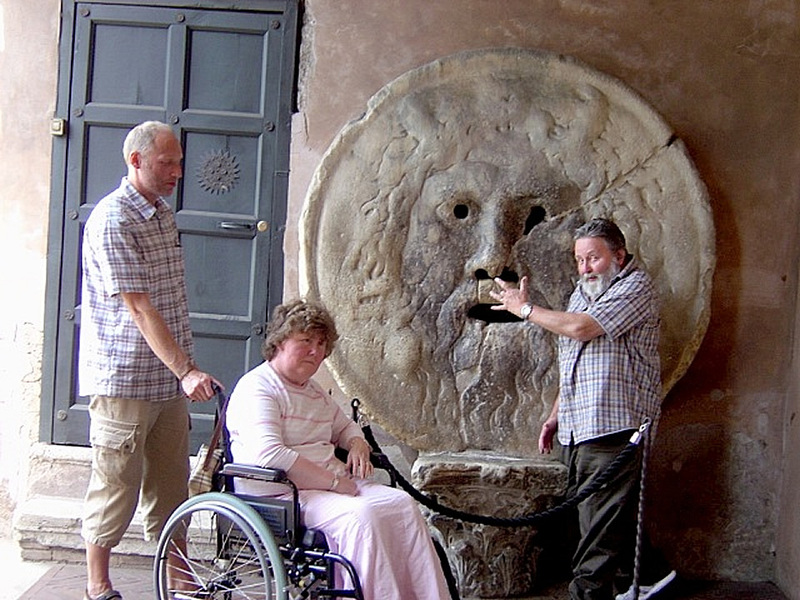 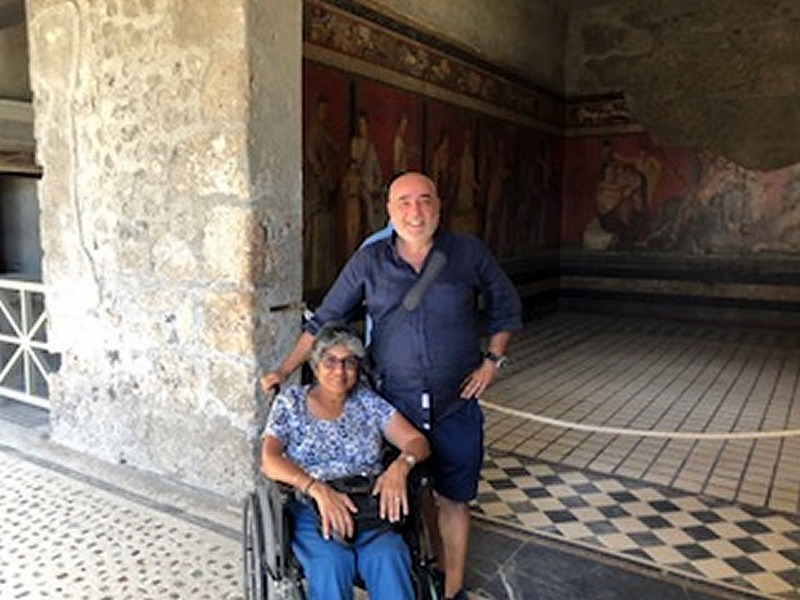 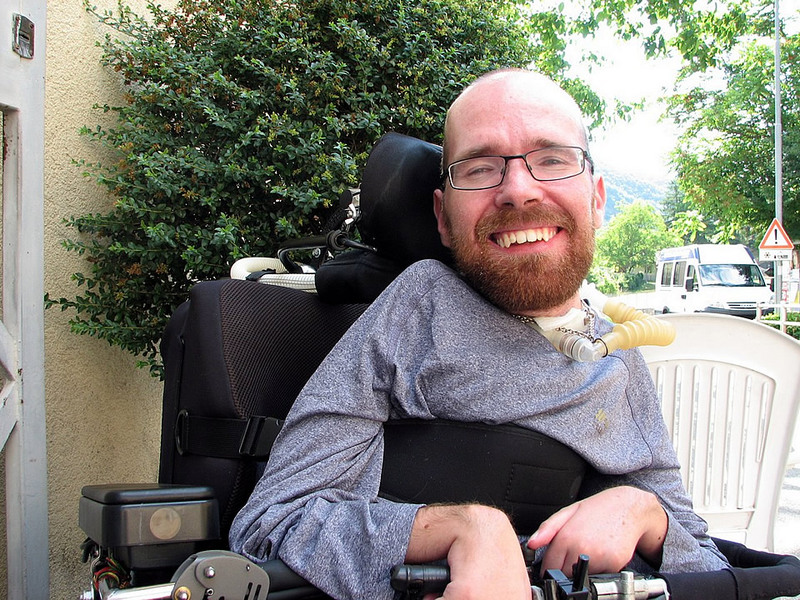 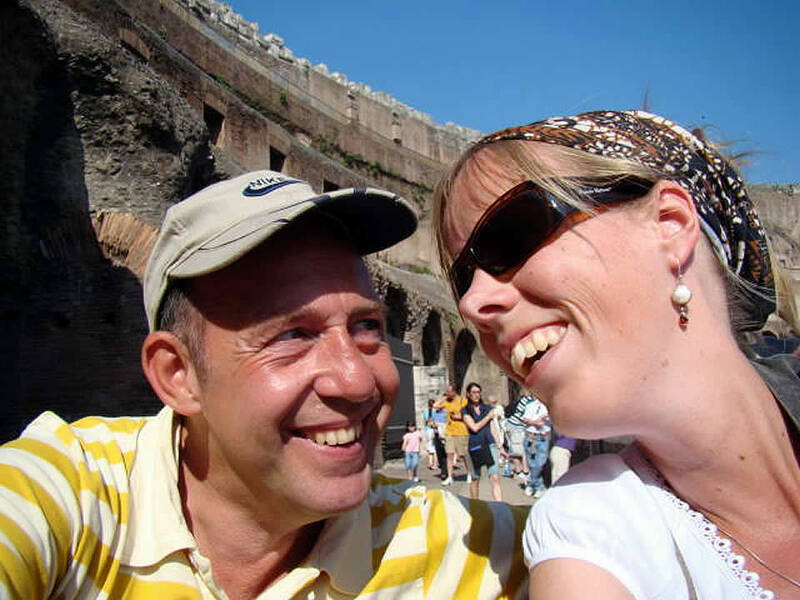 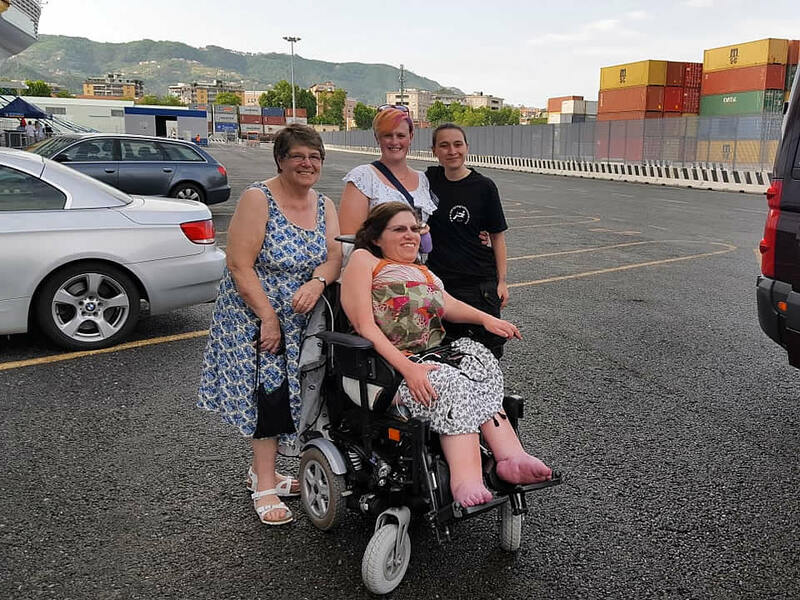 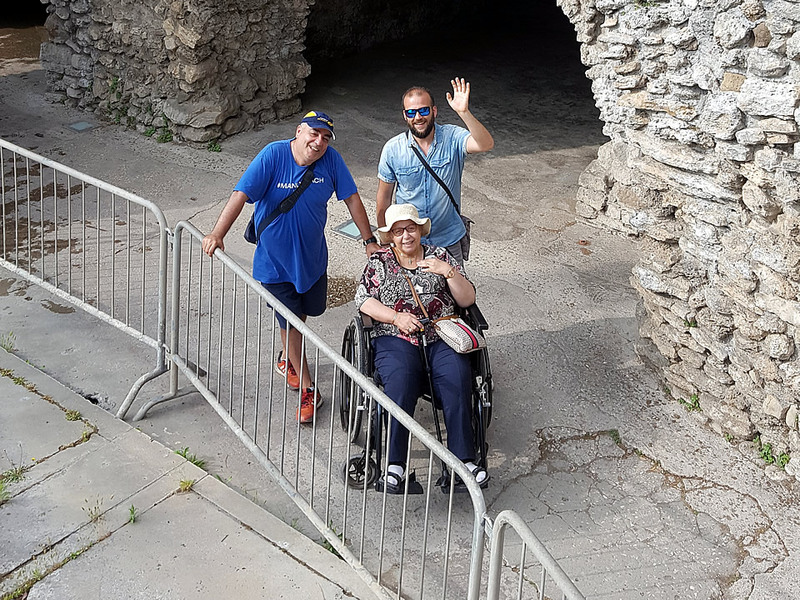 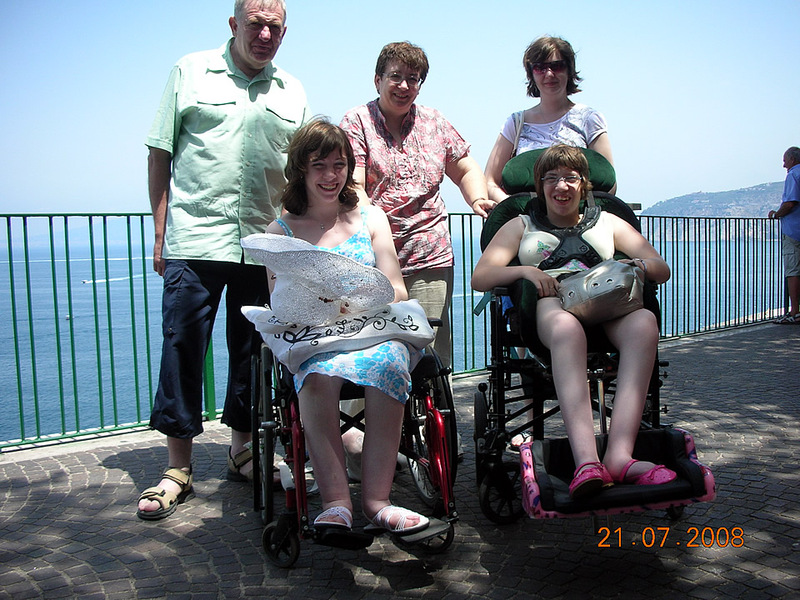 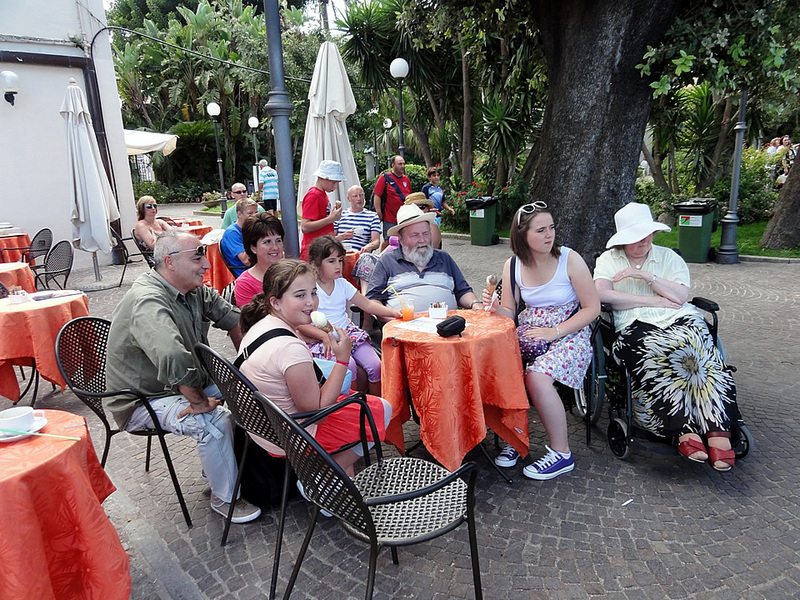 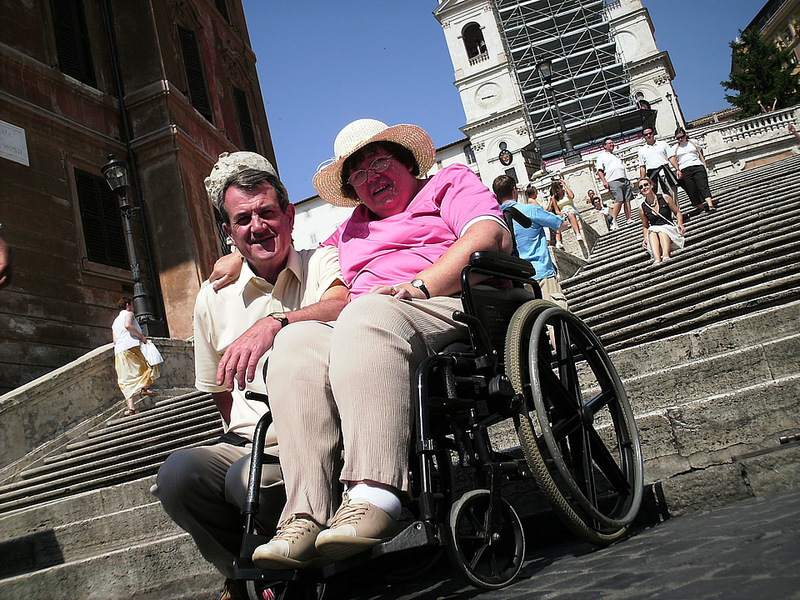 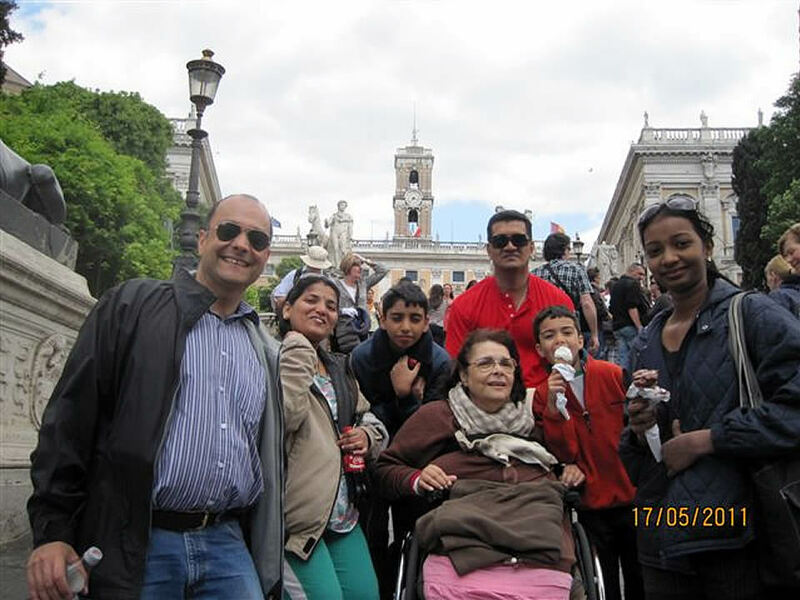 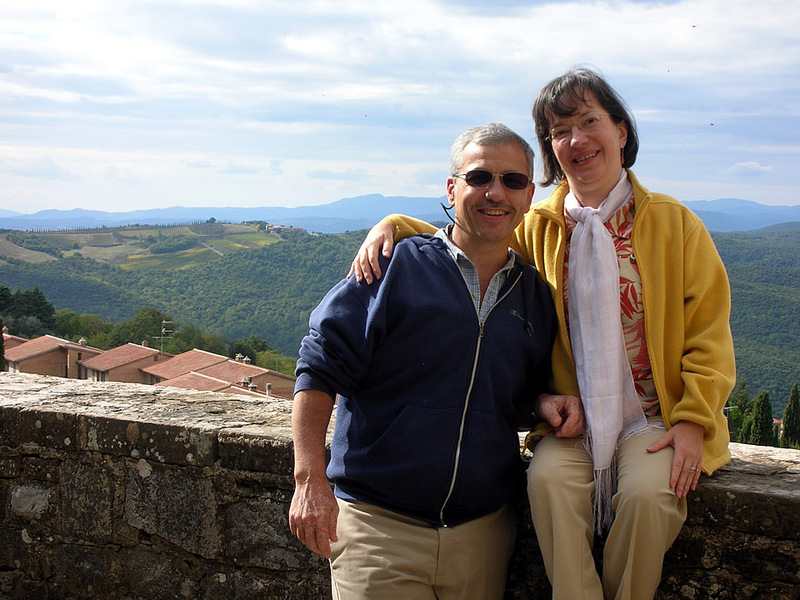 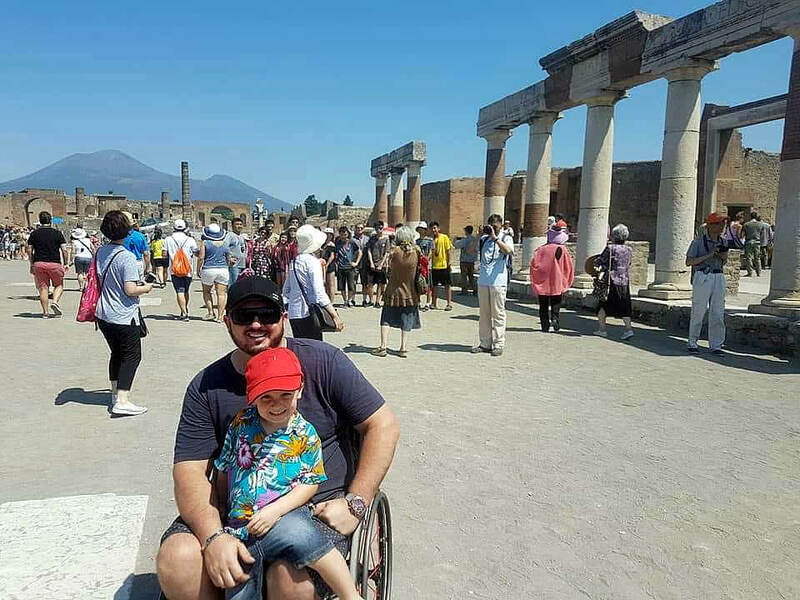 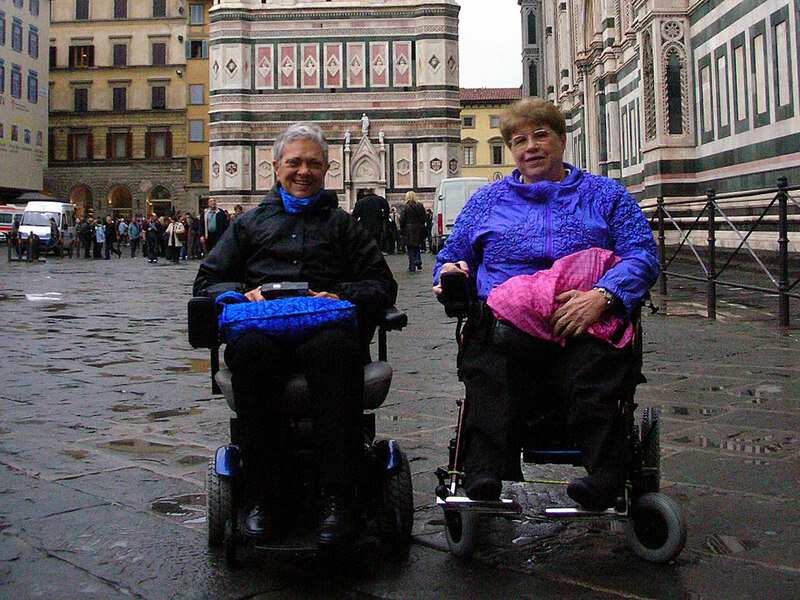 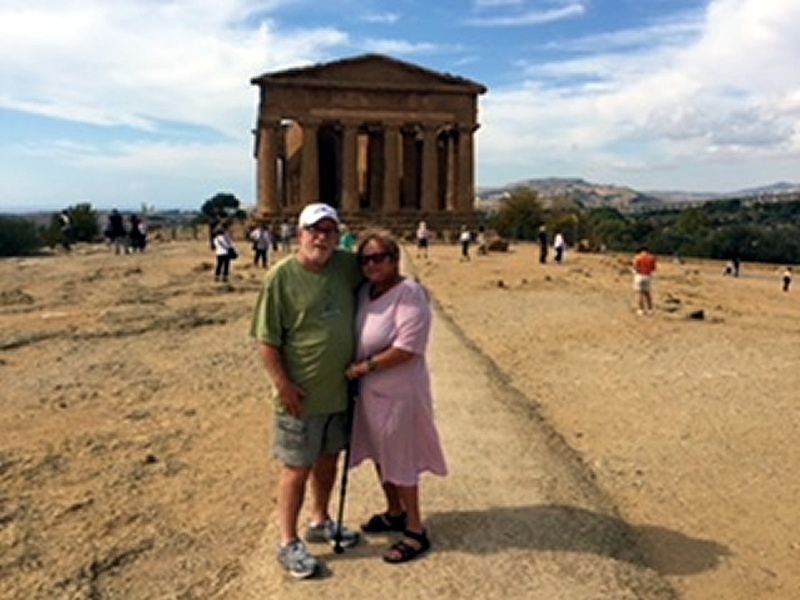 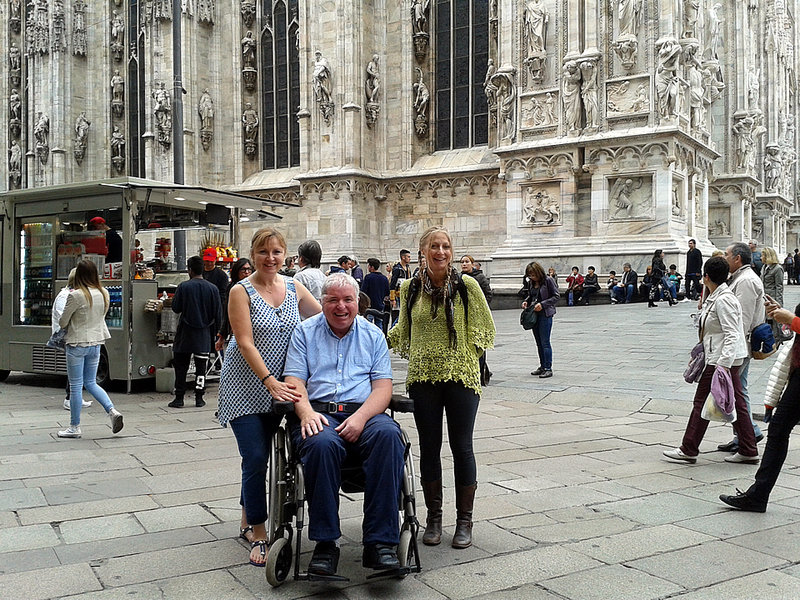 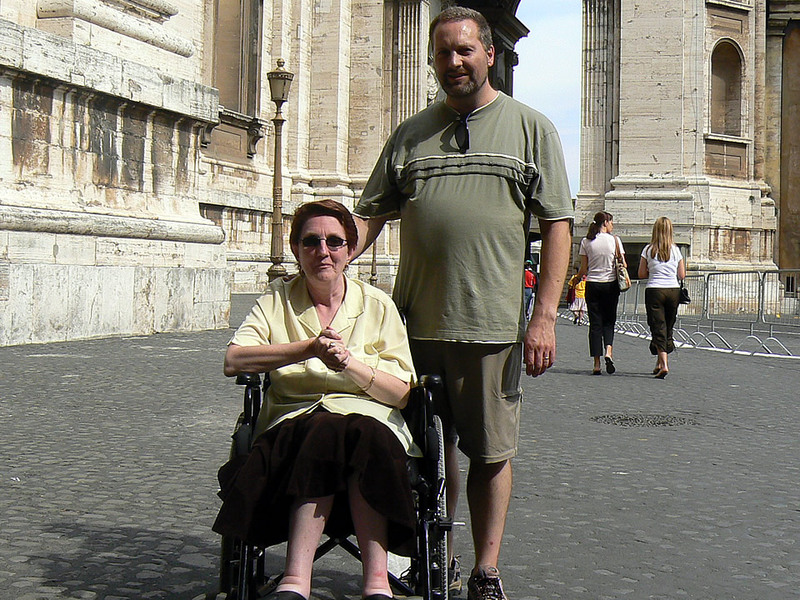 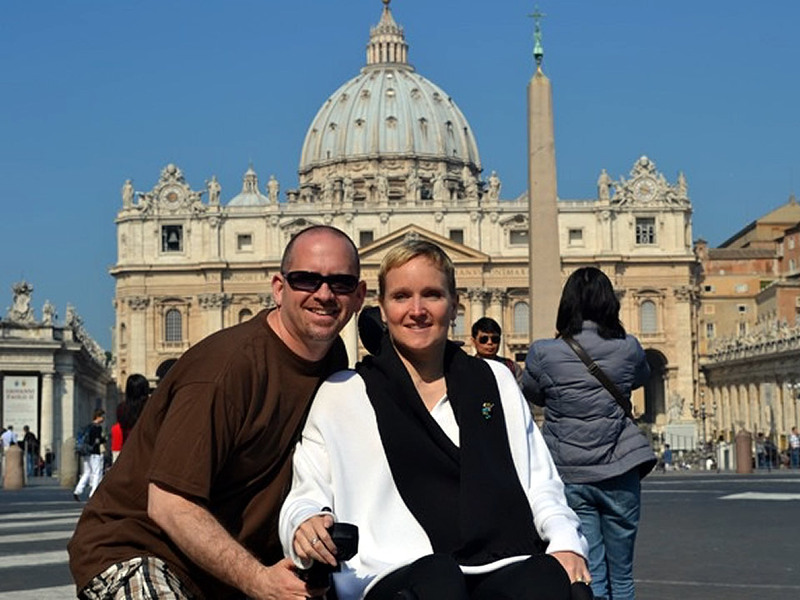 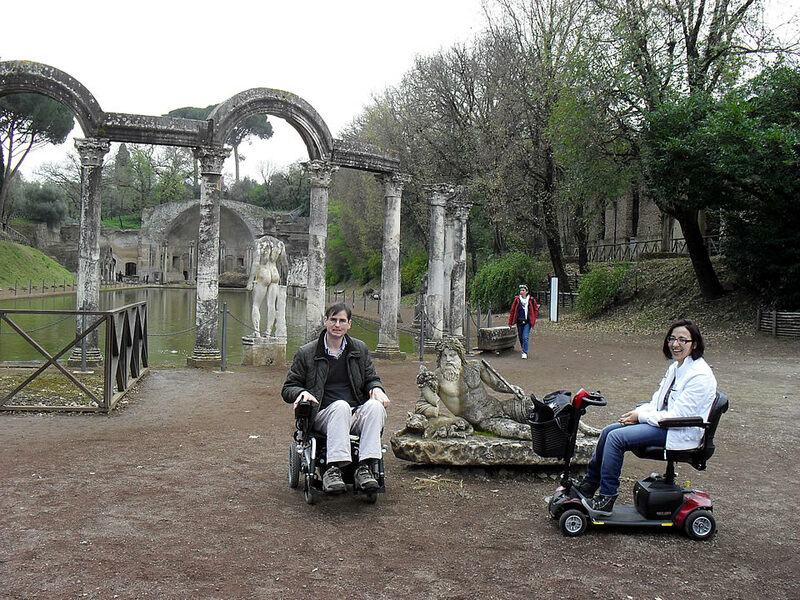 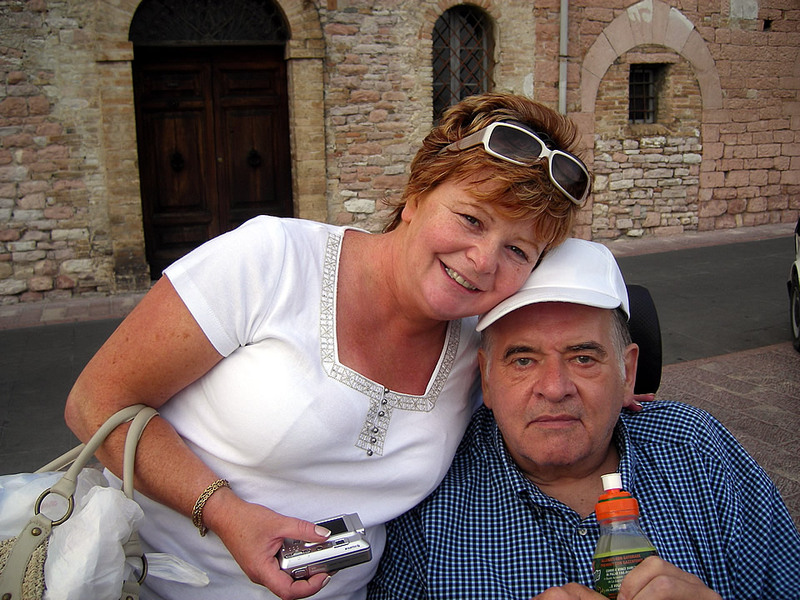 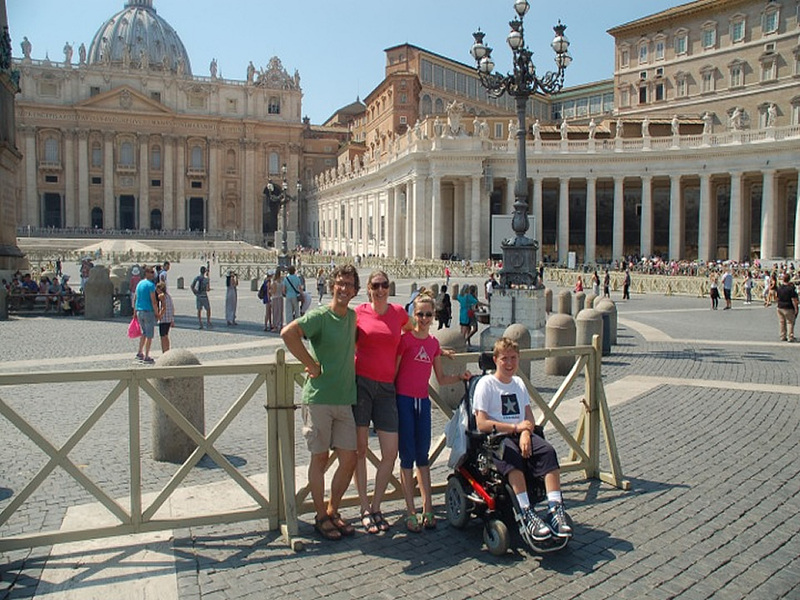 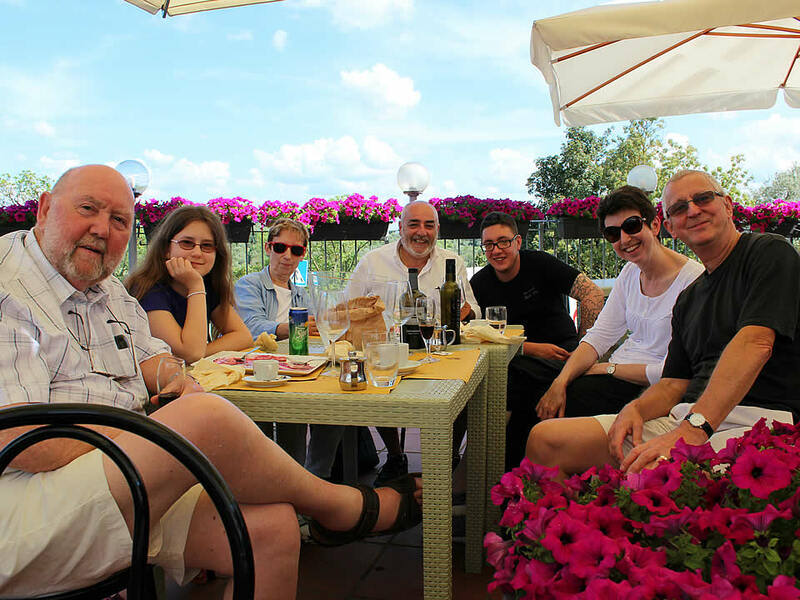 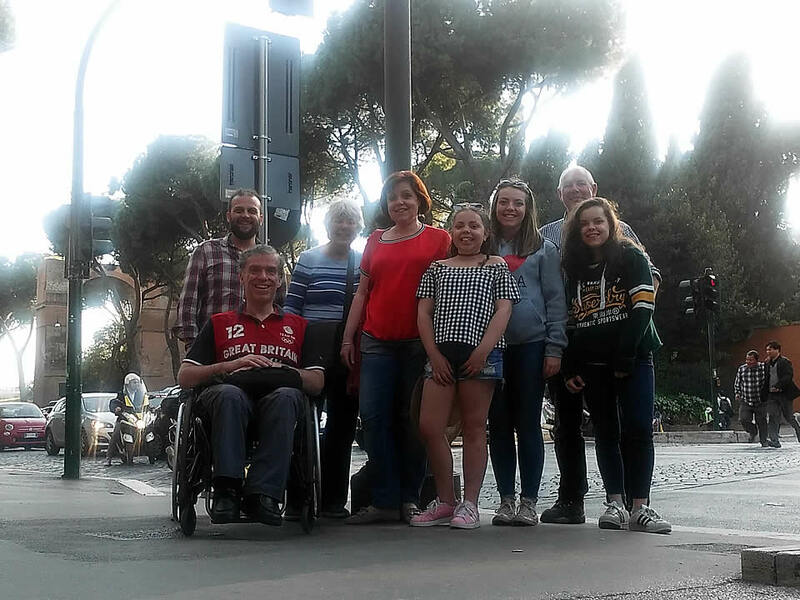 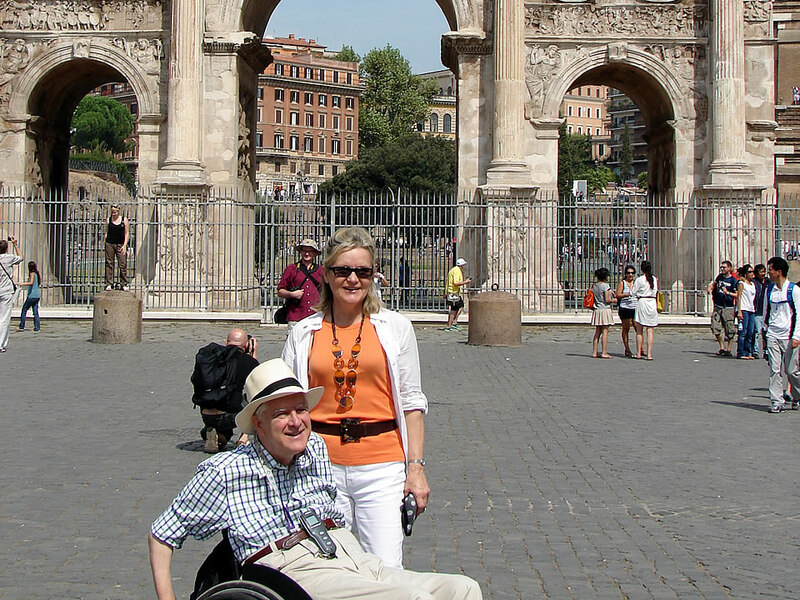 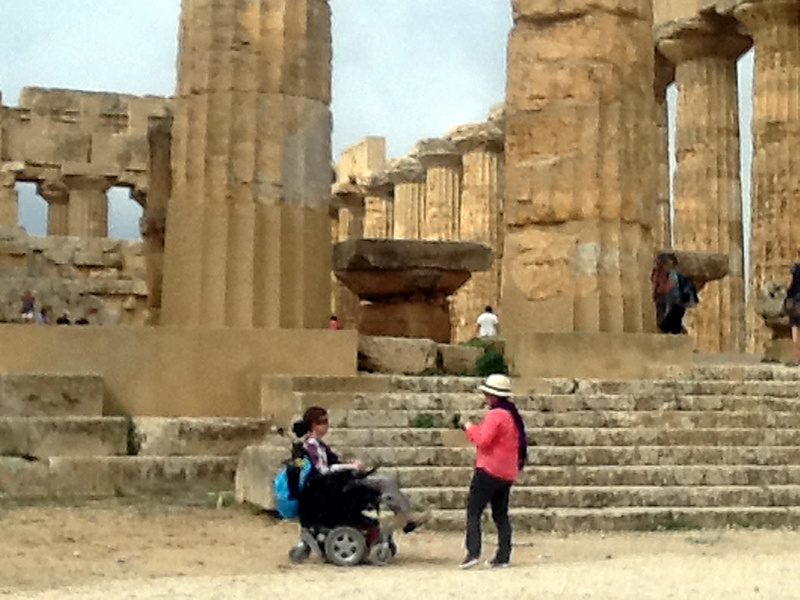 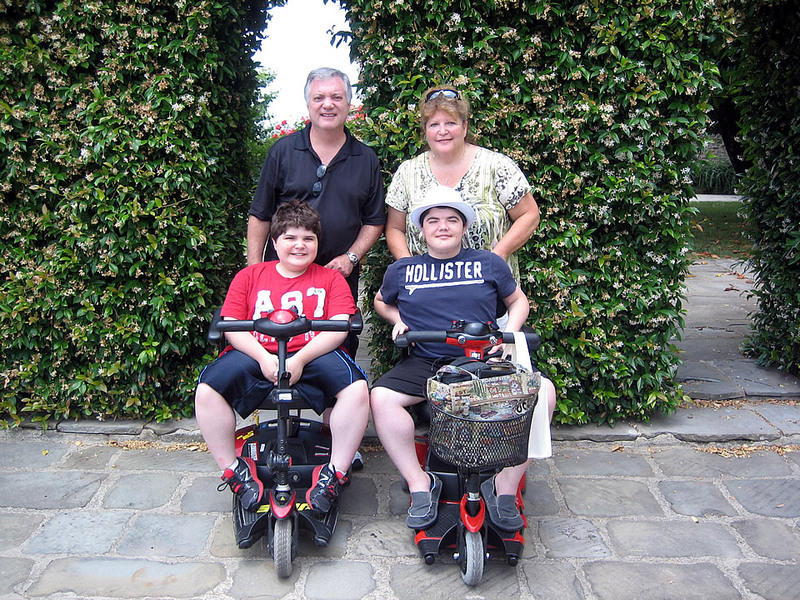 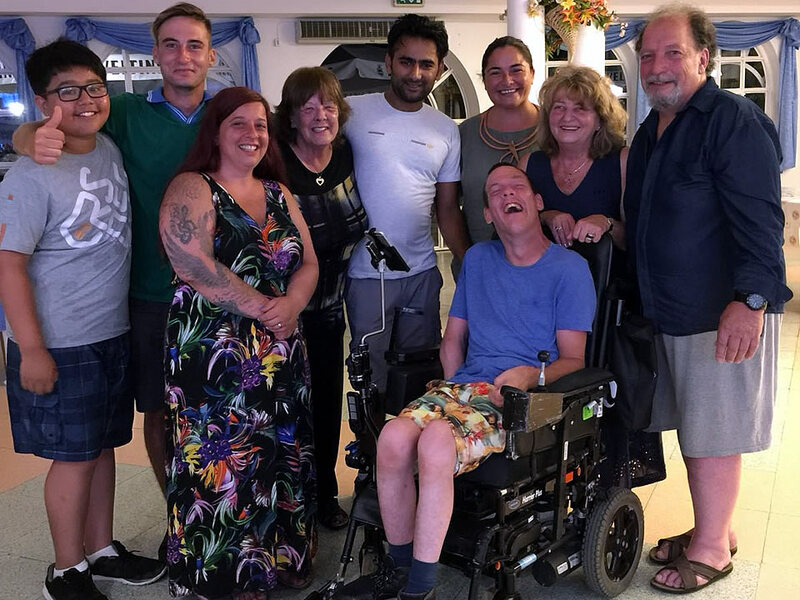 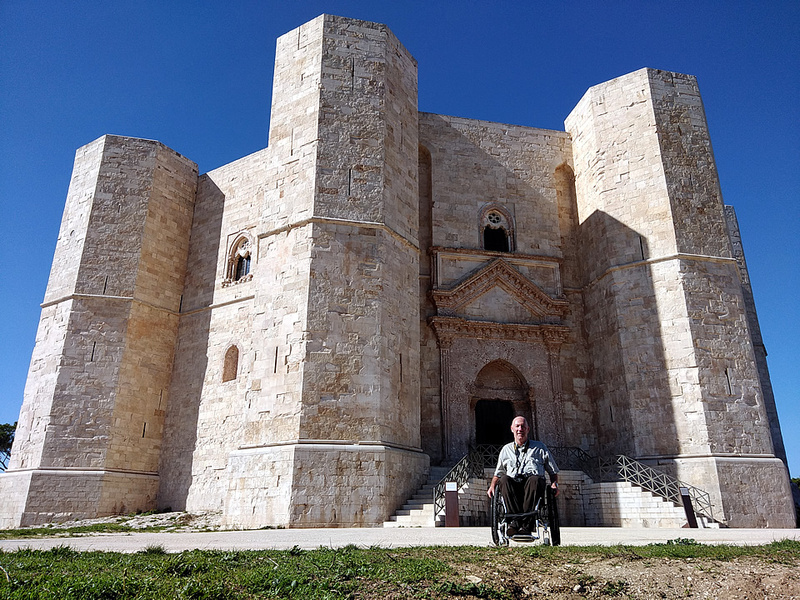 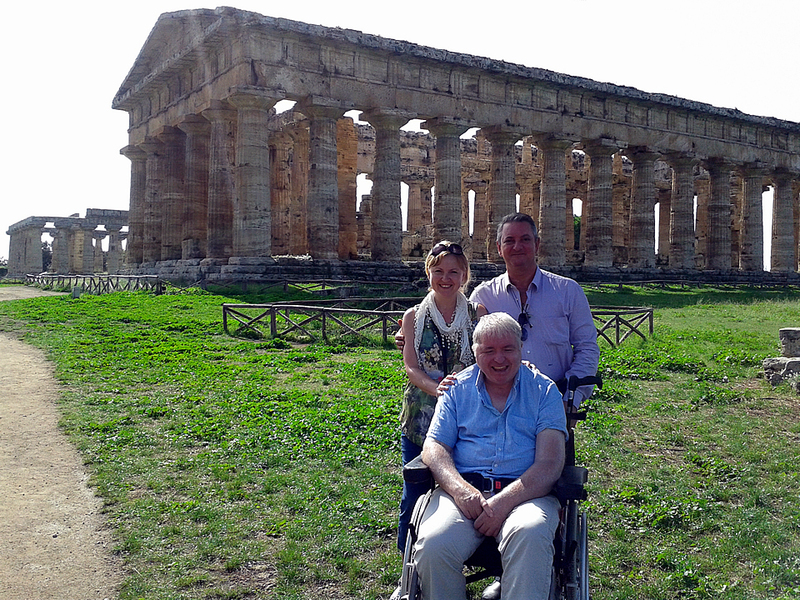 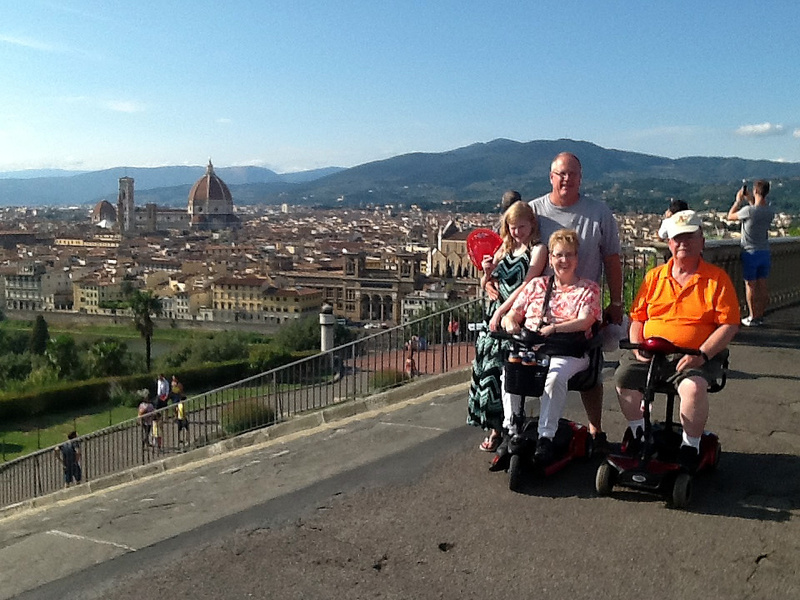 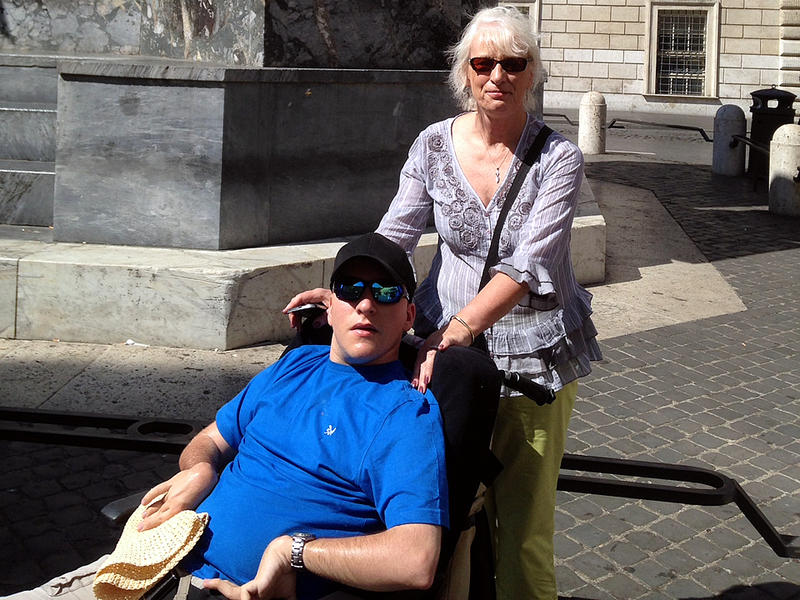 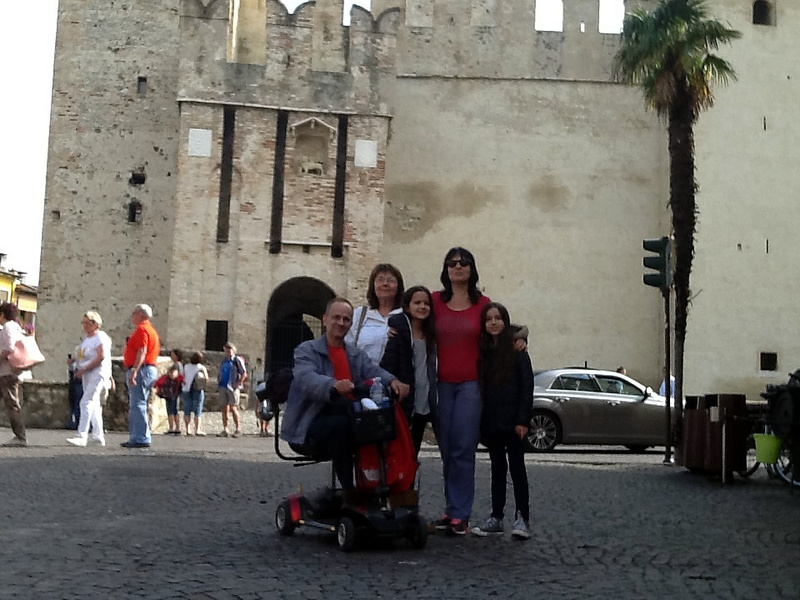 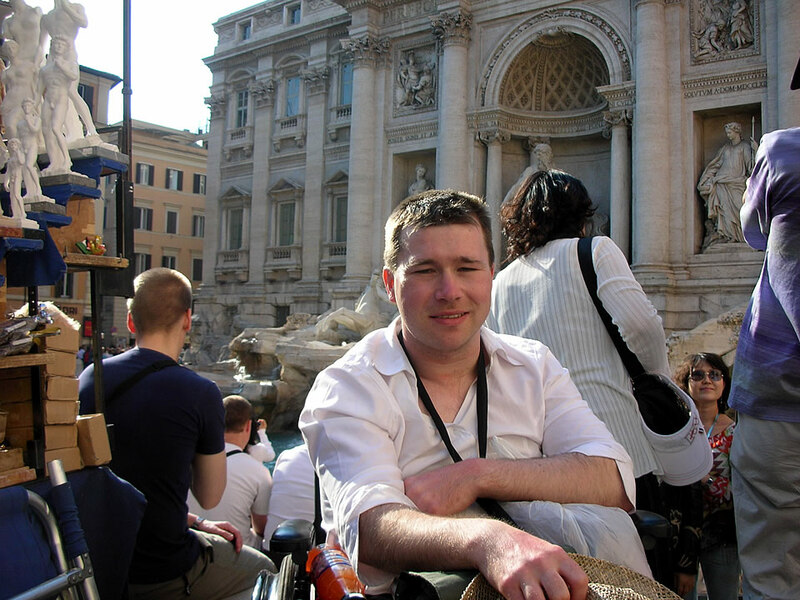 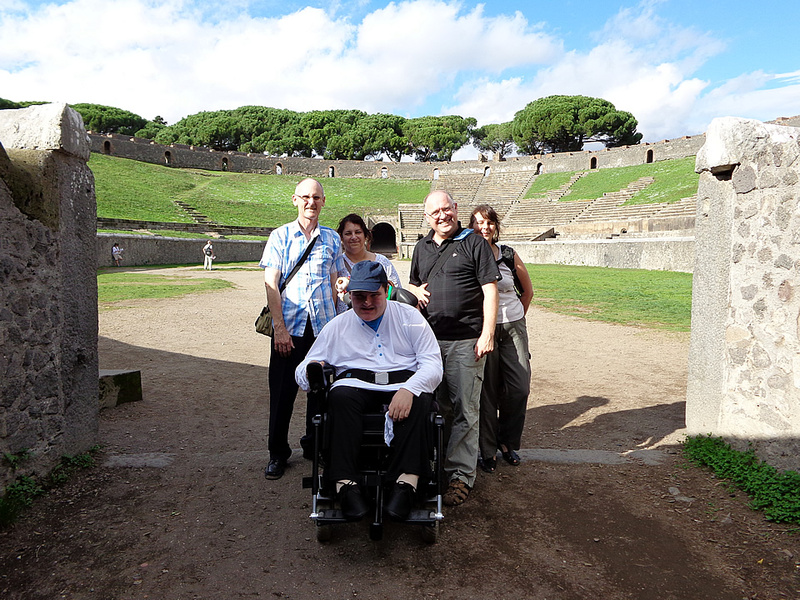 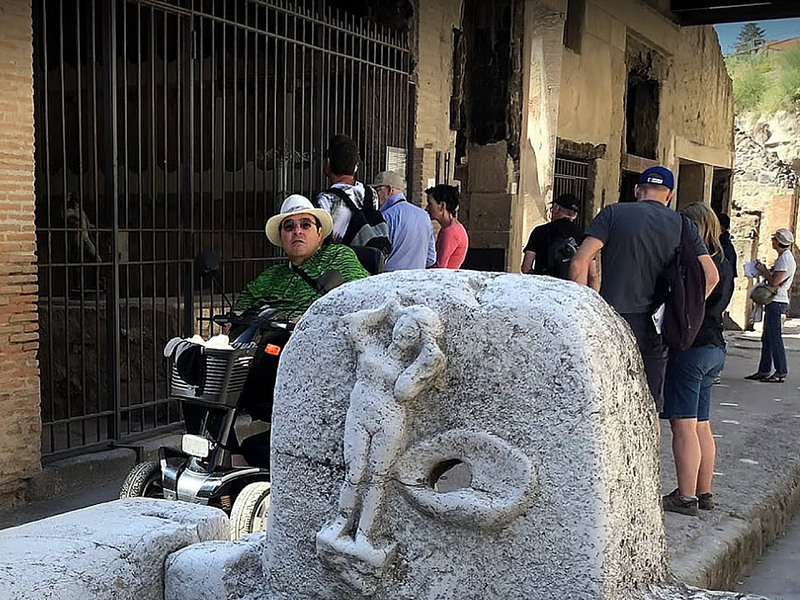 Rent a wheelchair can be a practical alternative for those who wish to travel to Italy with us and avoid valuable equipment gets damaged in transit while you flight. 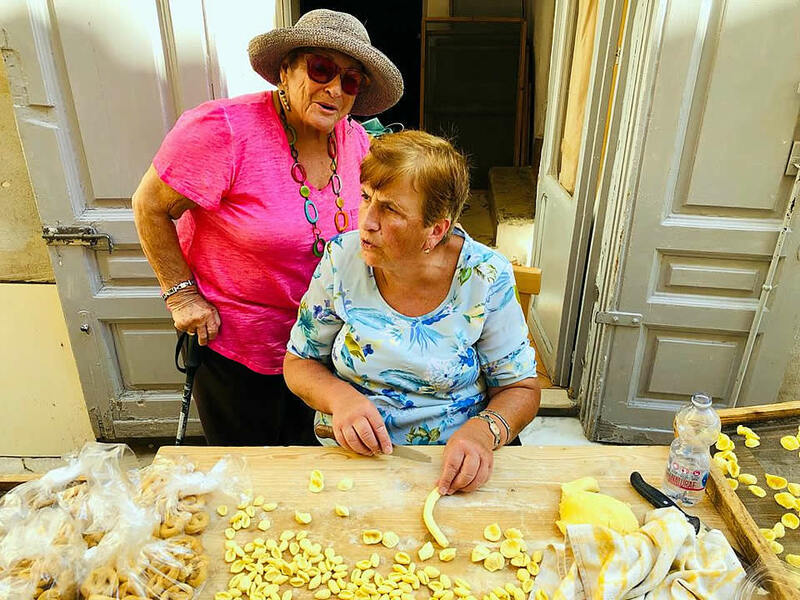 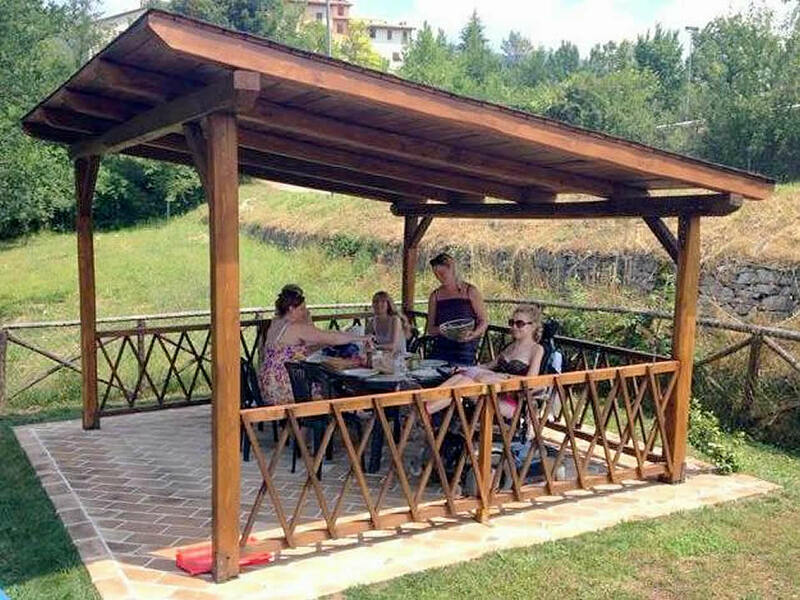 We can supply a comprehensive range of top quality equipment to help you get the most enjoyment from your holiday including deliver in most of all parts of Italy. 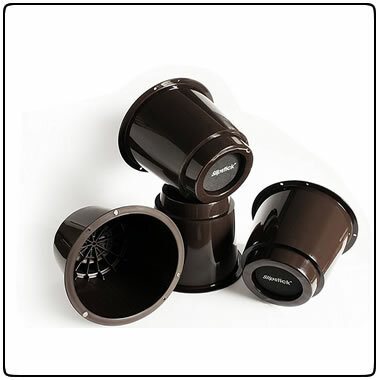 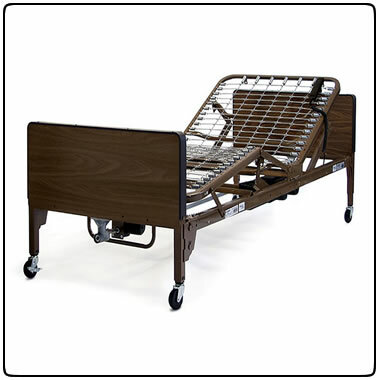 Rent top quality aids is the best choice for peace of mind. 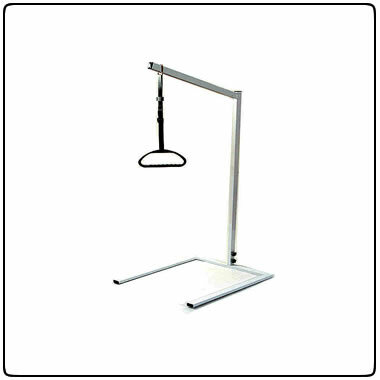 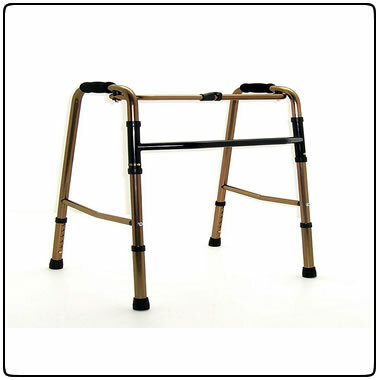 Walking frames and shower-in are also available. 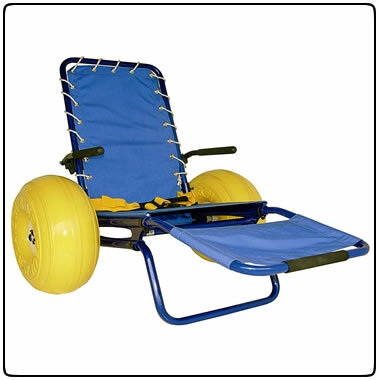 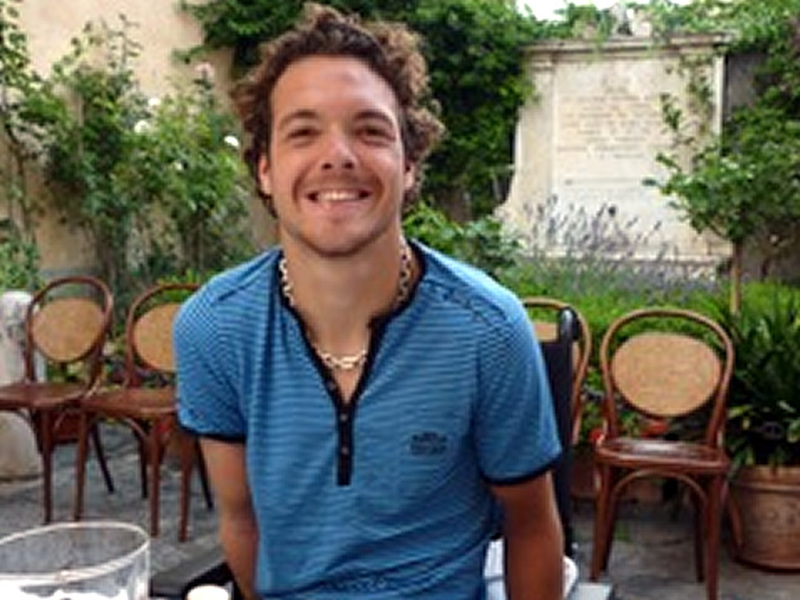 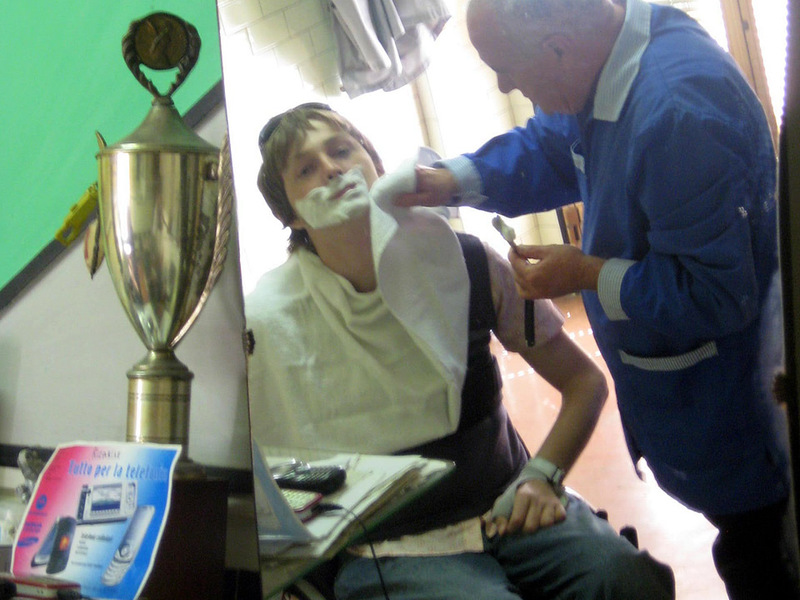 The JOB chair is the latest great opportunity for a disabled to have a swim bath at the sea!. 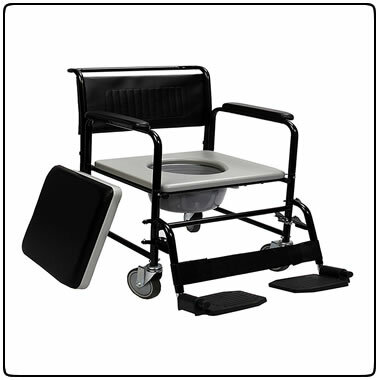 Will added services and equipment in future. 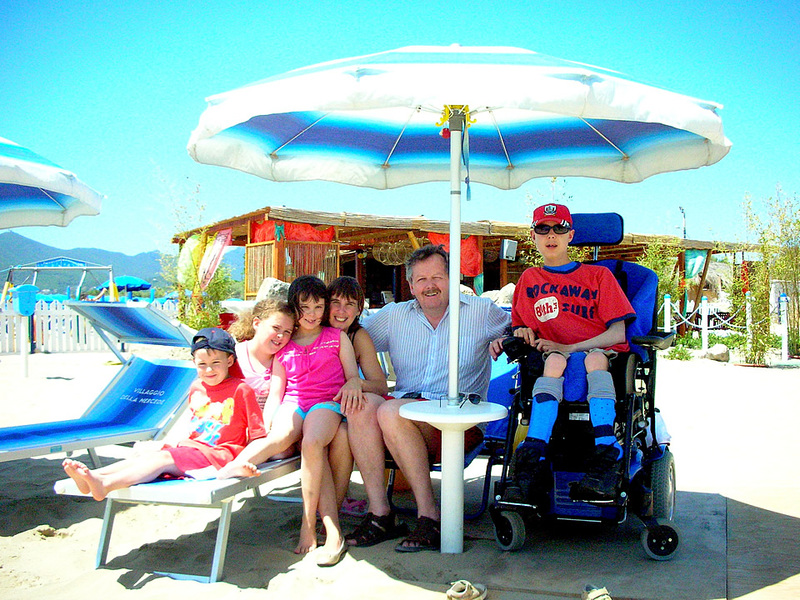 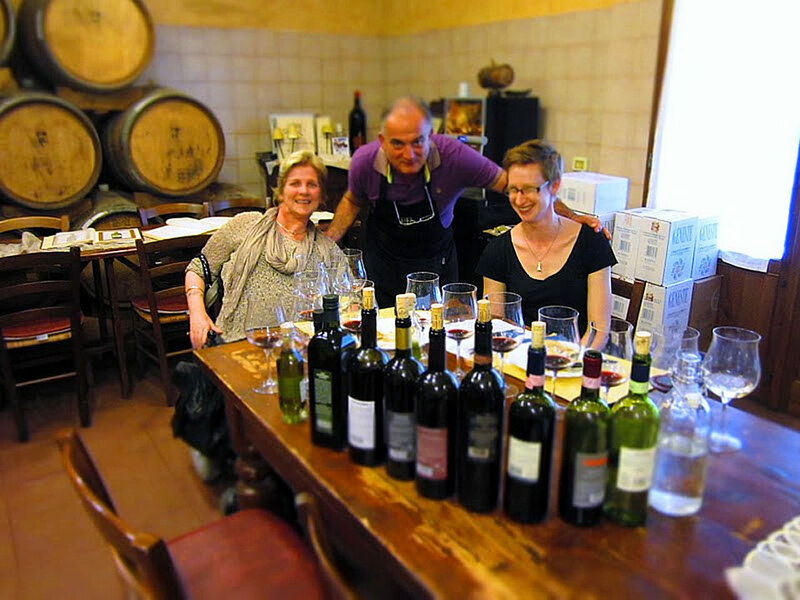 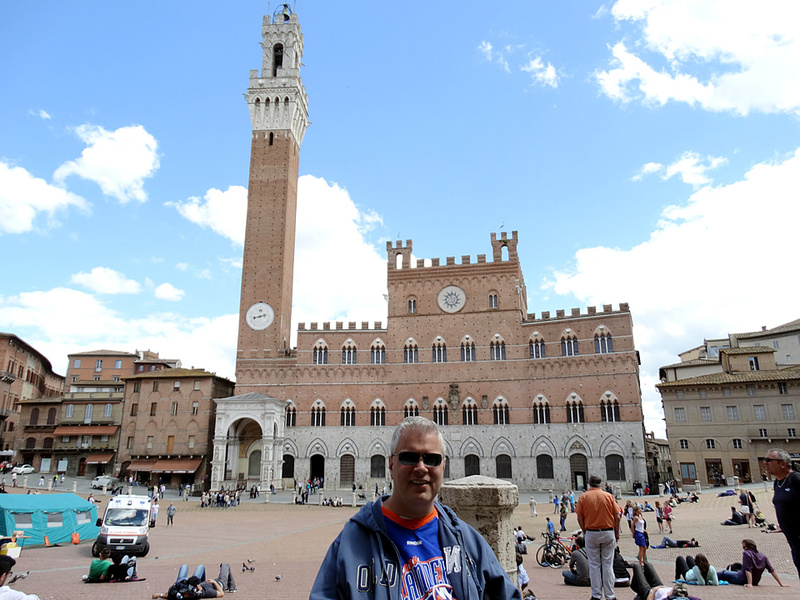 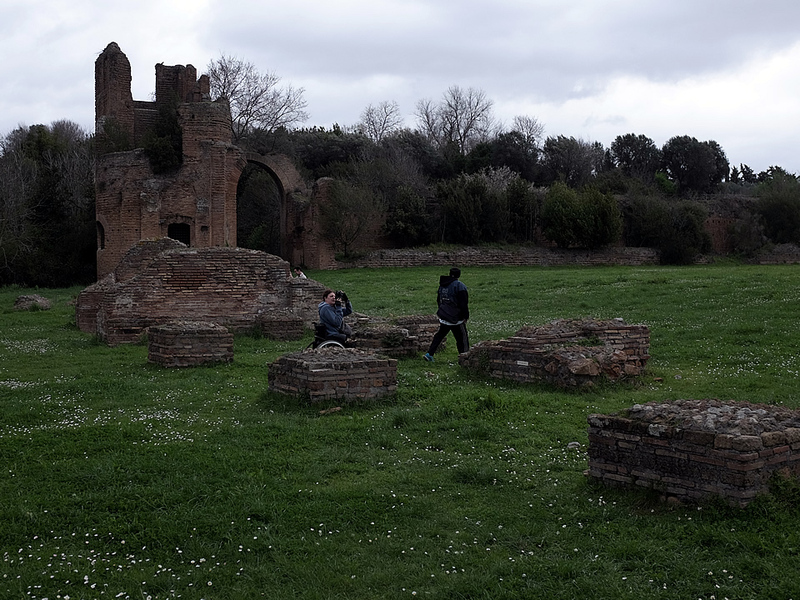 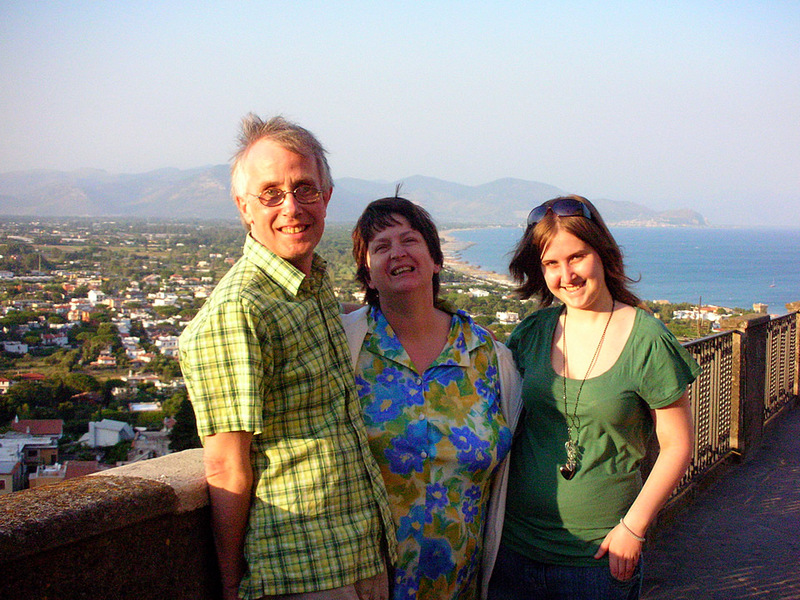 Equipment booked with our booking form allows us to provide at the service in time in Italy. 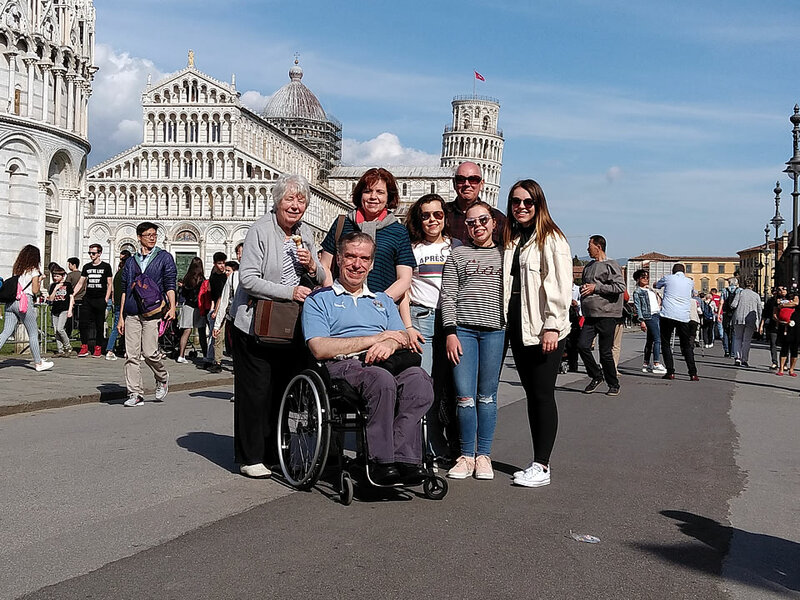 In case you need any of the items listed here when you are on holiday, and you didn’t book it priory, we can still provide the service between 6/12 hours from your request. 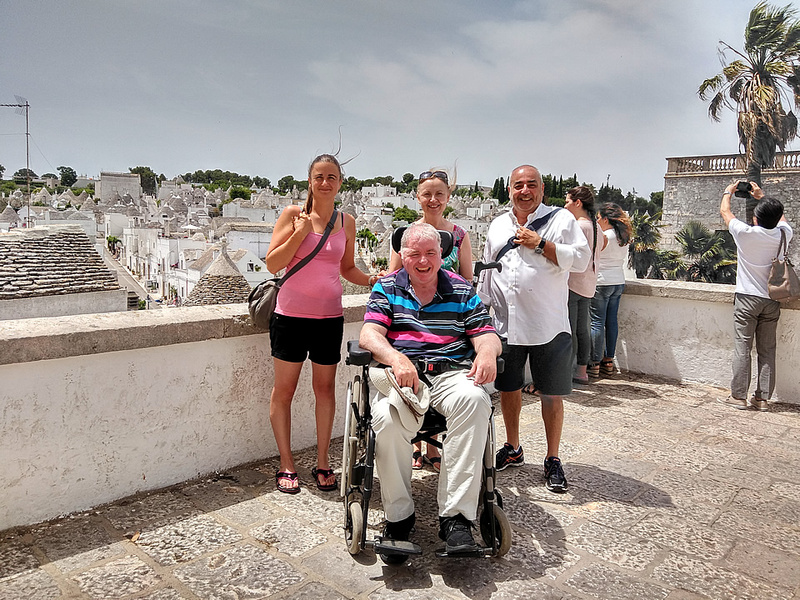 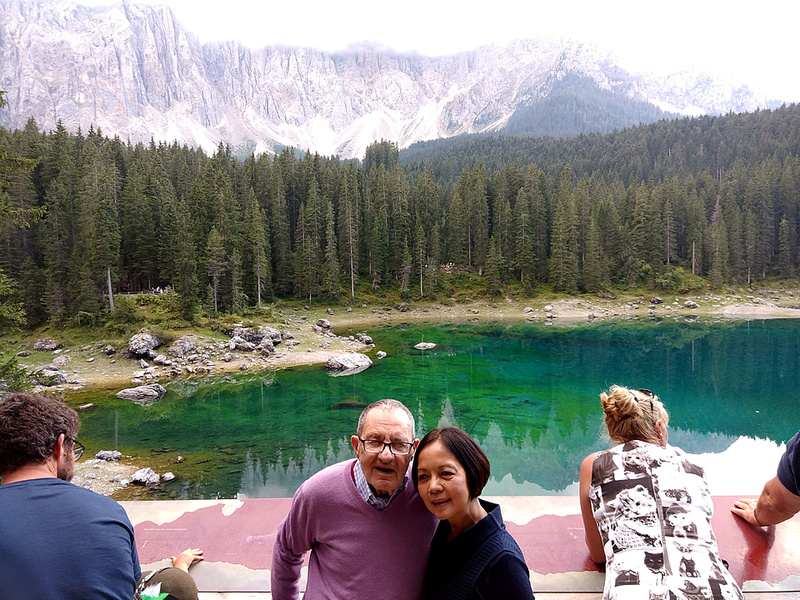 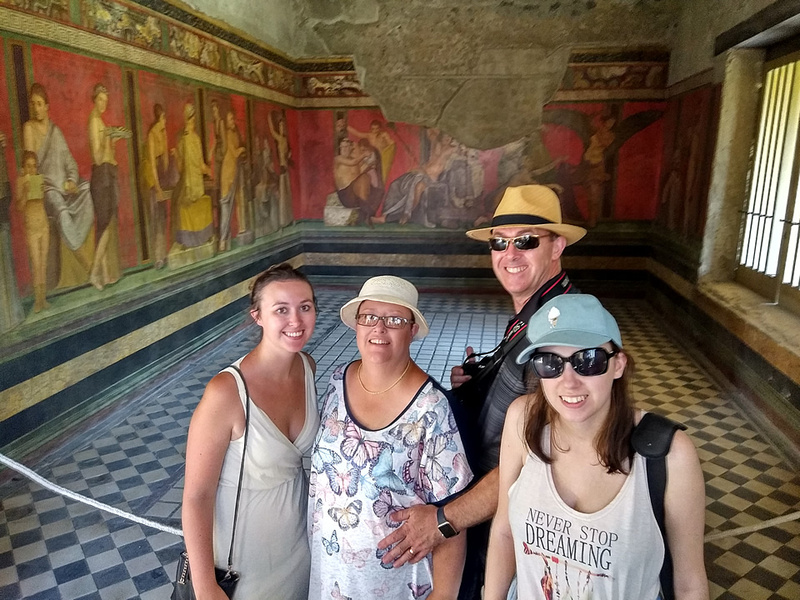 So make it sure to reserve them at the moment you are booking the holiday, once you have choose the accommodation from a Accessible Accommodations, on the appropriate booking form. 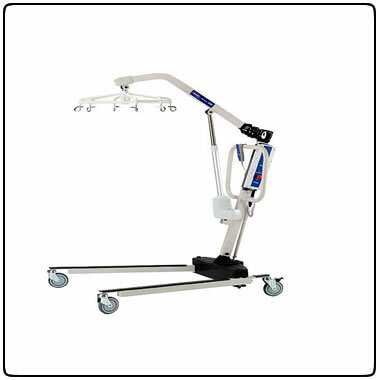 Technical assistance for your own and rent equipment is available. 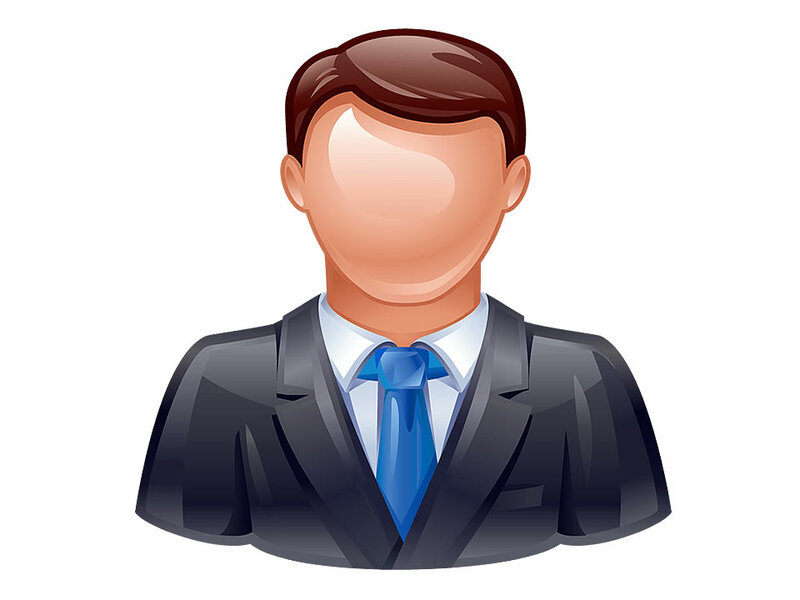 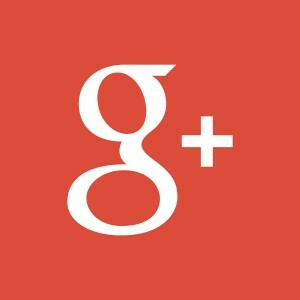 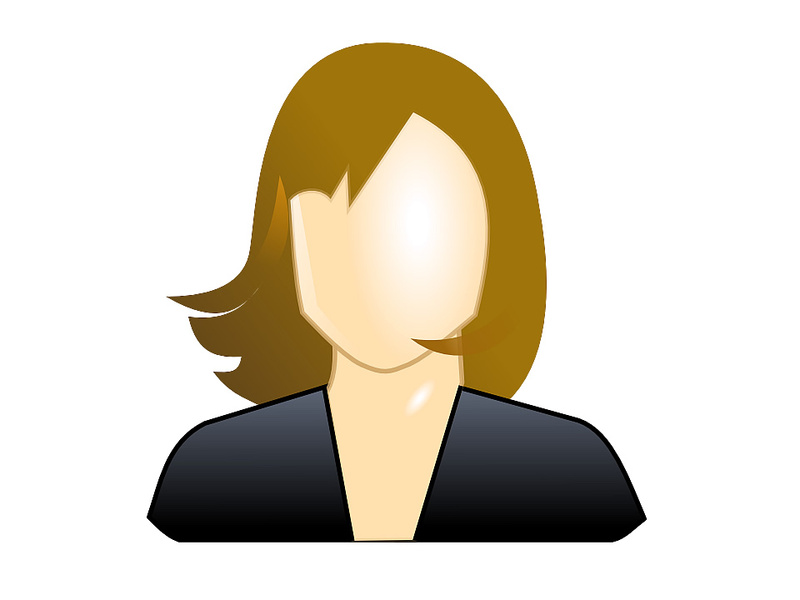 Costs depends on the technical assistance you need at that time. 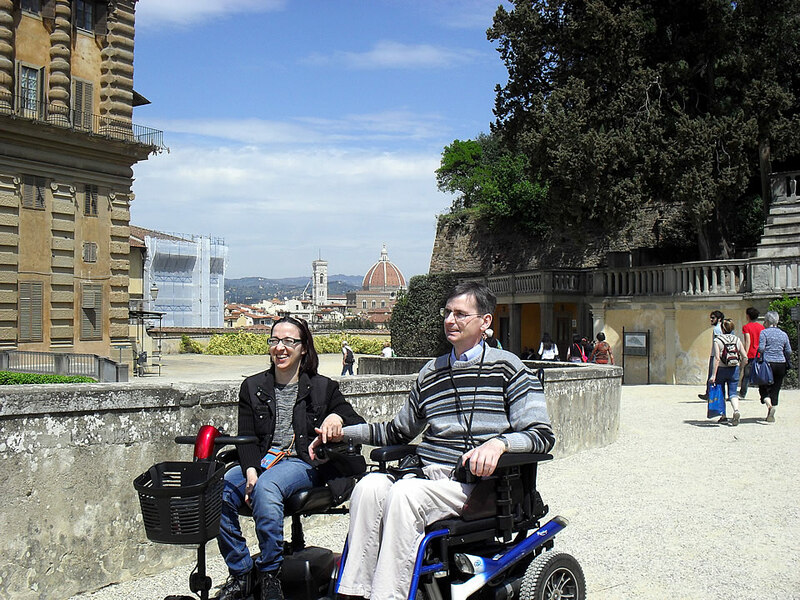 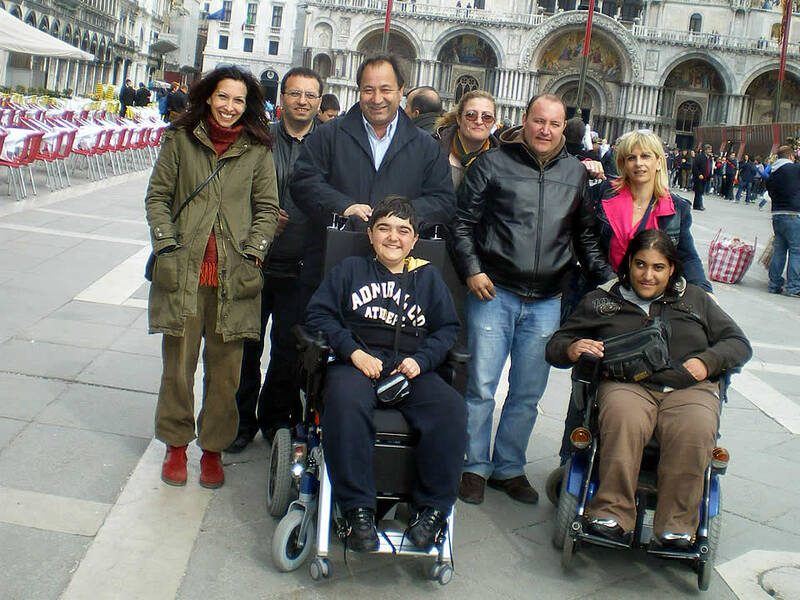 Rent Equipment Service for disabled,at the present moment, is available ONLY for customers who are booking also an accommodation with us and ONLY in the cities as Rome, Palermo, Florence, Siena, Lucca, Naples, Taormina, Sorrento, Lake Como, Turin, Venice and Perugia areas, where the accommodation are. 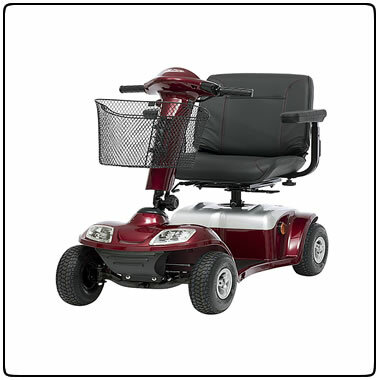 If you wish to rent equipment in those areas, you will need to add a delivery service fee at the price displayed and a deposit.